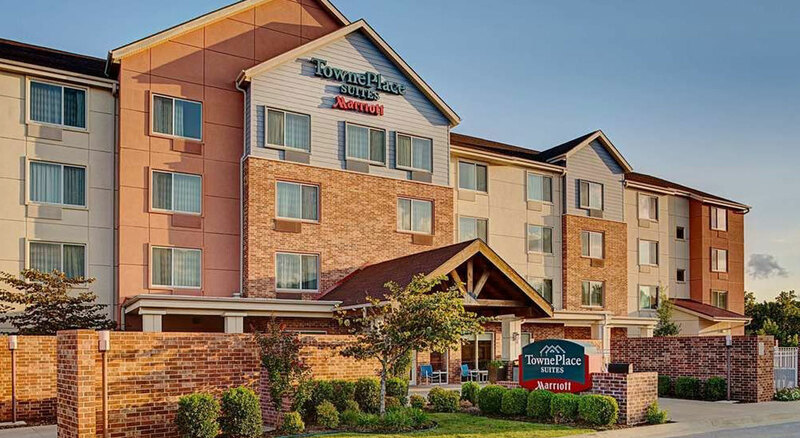 TownePlace Suites Fayetteville-Springdale is an all suite hotel located in the heart of Northwest Arkansas. This modern hotel is designed for you with fully equipped kitchens including full size refrigerator and dishwasher in addition to HDTV and absolutely comfortable living quarter. You will start your day with a continental breakfast. This Platinum Award Winning hotel, your home in NW Arkansas, is only minutes away from; Razorback Stadium, Univ. of Arkansas, Crystal Bridges, Botanical Garden of the Ozarks, Dickson Street, WalMart Head Quarters, Walton Art Center, Tyson Head Quarters, Devil’s Den, Ozarks Mountains, War Eagle, Beaver Lake, Arvest Ballpark, Prairie Grove and Pea Ridge Civil war sites and Lake Fayetteville. TownePlace Suites is perfect for all occasions including Bikes, Blues & Barbecue and Razorback football games. Host a business party on our spacious patio, or have family time next to our outdoor pool.